Don't blame the polish. Chipped nails be your fault. There aren’t many things worse than chipping your nail polish after you’ve just gotten (given yourself) a fresh manicure. And, while it’s easy to blame cheap polish as the reason for your lack luster manicure, the chances are you (or your manicurist) are actually at fault for that chipped ring finger nail. For polished gals who can’t seem to get their nail polish to stop chipping, we’ve got a few do’s and don’ts, and a step-by-step guide to nailing you next manicure. Q: Do I really need a base and top coat? A: Yes. Not only does a base coat help even out uneven nail beds by filling in ridges, it also helps protect your nail bed from discoloration. The top coat is more of a cosmetic fix, but it helps improve the longevity of your polish and gives it gorgeous shine, or serves to mattify the polish. Q: Are multiple coats necessary? A: Applying multiple coats of your base color is optional, but If you’re aiming for sheerer coverage a single coat is fine. 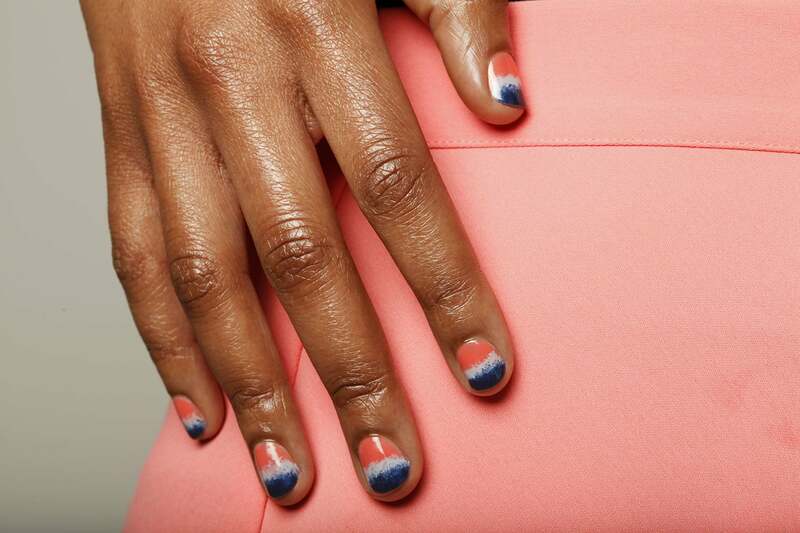 You shouldn’t need more than two coats of color per nail. Step 1: Wash your hands and wipe your nails down with a gentle, hydrating polish remover like Caption ‘Onto the Next’ Creme Remover ($5.95, at dermstore.com) or Bernadette Thompson ‘Wipe Out’ Nail Polish Remover ($8, at bernadettethompson.com). Step 2: Apply a single coat of your base coat of choice, and allow two minutes to dry. We love Formula X ‘Prime’ Nail Base Coat (10.50, at sephora.com). Step 3: Once your base coat is dry, apply the first coat of your base color and allow two minutes to dry. Step 4: Repeat step three. Step 5: Apply a single coat of your favorite top coat and allow two minutes to dry. The important thing to remember is that a manicure is supposed to be a moment when you are pampered—don’t rush the process. Allow two minutes for each coat to dry. If you don’t have 15 minutes to spare, then try a more time friendly option like Incoco Nail Appliques; you can do them on the go with minimal to no down time.